I’ve linked the Google Slide presentation and other resources for these workshops on my classroom website. 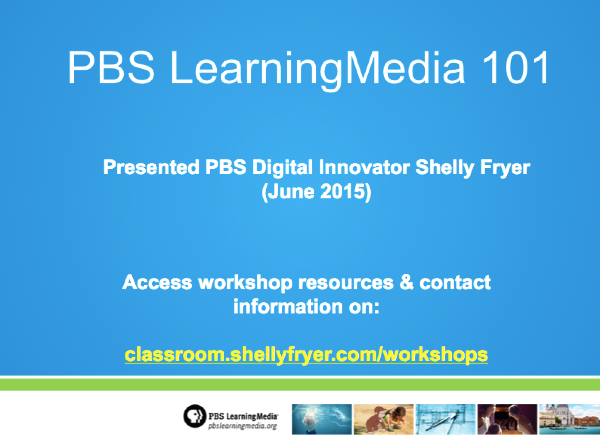 If you have questions in advance about the workshops please contact me via Twitter @sfryer, or leave a comment here. Good luck with your workshops, Shelly! I wish I could be there! They look awesome. I hope I remember to attend this conference on Monday. I have enjoyed your input at iPad media camp this week.